Ok well maybe not jerked but, at least jerk seasoned with Penzey’s Jerk Pork seasoning after being bathed in tangerine juice, lime juice, a little oil and a little Dale’s Seasoning, grilled over charcoal with a chunk of hickory and a couple sticks of cherry. 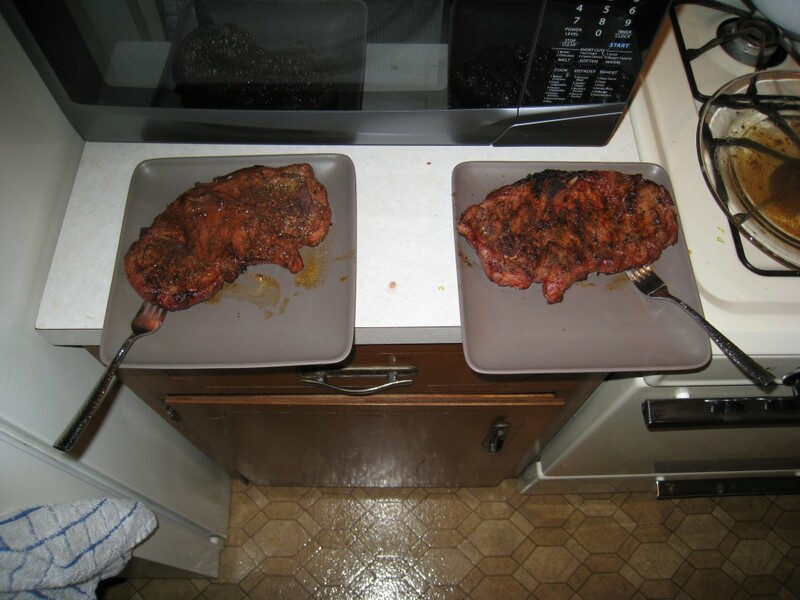 Grilled to 160°F. For the record they didn’t look that big when I pulled them out of the freezer this morning.